Summary: Only someone with severe self-loathing would invite and welcome the hatred of others. Your garden variety pastor or prophet is no different. We would like to be liked. We want to be, if not friends, at least on good terms with all of our hearers. Then the Lord gives us His holy, beautiful, sin-smiting, terrifying Law and says, “Preach it: No ifs, no ands, no buts.” We who rejoice in our salvation and who love His Word suddenly face rejection and even outright hatred among those to whom we are called to preach. Doesn’t God know that this is uncomfortable, even painful? What sort of bait-and-switch has He pulled? 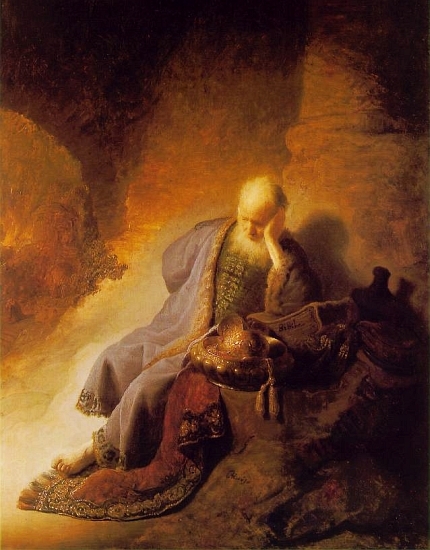 Jeremiah doesn’t wait until penning Lamentations to lament his own circumstances. Hard-hearted Judah seems hell-bent on joining the northern tribes in judgment and doom. No one wants to take the blame for the problem — no one even will admit that there is a problem. Preaching the Word had become a massive headache and death threats were becoming common. What changed? Certainly not God and His Law. 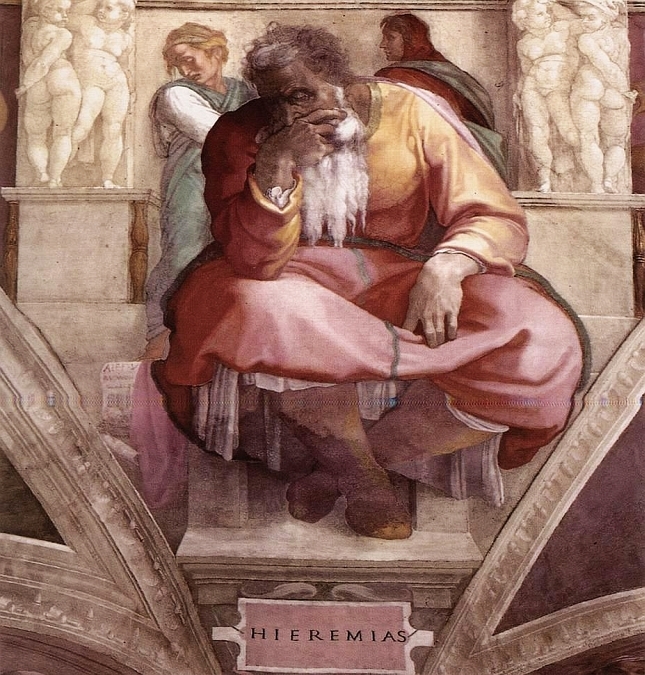 No, Jeremiah realizes the same thing that other faithful servants of the Word recognize: We are still forgiven, redeemed children of God. Preaching the Law is a harsh and alien task — one that God Himself desires not to be. Brutal and condemning as it is, the Law exists to prepare hearts for sweet salvation. And the pastor who knows his own sins much more clearly than he does the sins of his flock rushes to embrace Jesus’ forgiveness for himself and cannot wait to bring the same message to the Church. The Lord compels us to preach the Law only to allow us to preach the Gospel. We may not make friends by honestly applying divine judgment. However, God has already befriended us by removing every spot and stain of sin. Our place with Him is secure and now we want our hearers to know and own this same hope of new, holy, and everlasting life through Jesus Christ, our Lord. Text: O Lord, you have deceived me, and I was deceived; you are stronger than I, and you have prevailed. I have become a laughingstock all the day; everyone mocks me. For whenever I speak, I cry out, I shout, “Violence and destruction!” For the word of the Lord has become for me a reproach and derision all day long. If I say, “I will not mention him, or speak any more in his name,” there is in my heart as it were a burning fire shut up in my bones, and I am weary with holding it in, and I cannot. But the Lord is with me as a dread warrior; therefore my persecutors will stumble; they will not overcome me. They will be greatly shamed, for they will not succeed. Their eternal dishonor will never be forgotten. O Lord of hosts, who tests the righteous, who sees the heart and the mind, let me see your vengeance upon them, for to you have I committed my cause. Audio: Click to hear the MP3 of Deceived by the Lord. About the Cartoon: Jeremiah 20:7-13 cartoon by James Wetzstein at Agnus Day: The Lectionary Comic Strip.